It adds color. And color is what we needed to make this home feel a little more like home. I'm using instagram pics to fill in the picture frame. 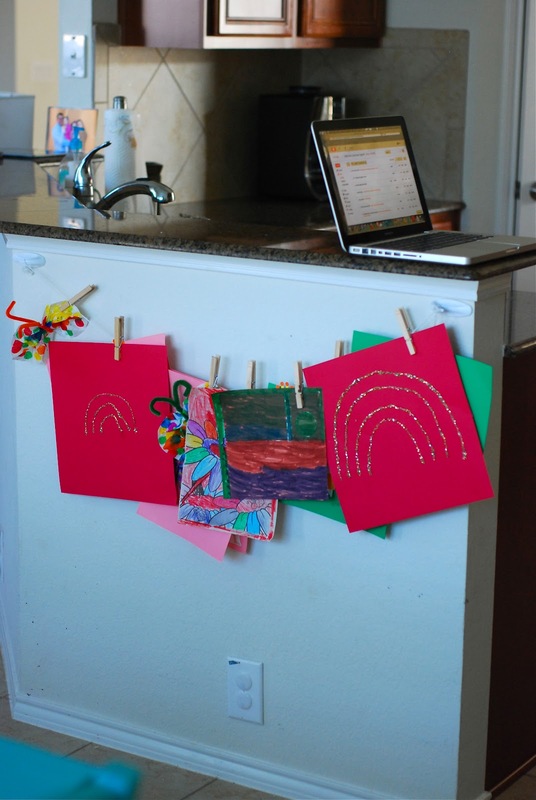 Handprint wall art: will write a post about it one day. ;) Just took an old picture frame that I had and a scrap of fabric. Took some paint and did our handprints. Was inspired by something I saw here. 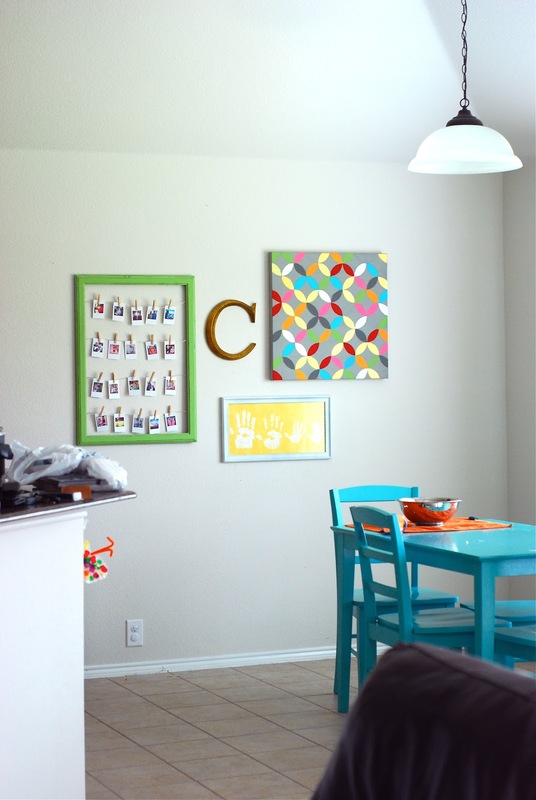 And the DIY-Intersecting Wall Art painting. I did finally put curtains up about a year ago. I had been eyeing them from Pottery Barn for about 2 years. And since after 2 years I still loved them....I got them. Crazy, I know. I knew that I wanted to have something sheer because I didn't want anything that would block out the natural light. Still love them. 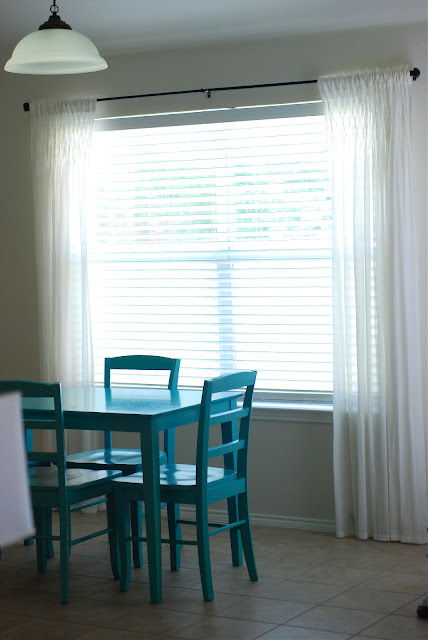 Linking up with Kelly's Korner for her Show us Your Life: Kitchen series. Your table is a lovely color! 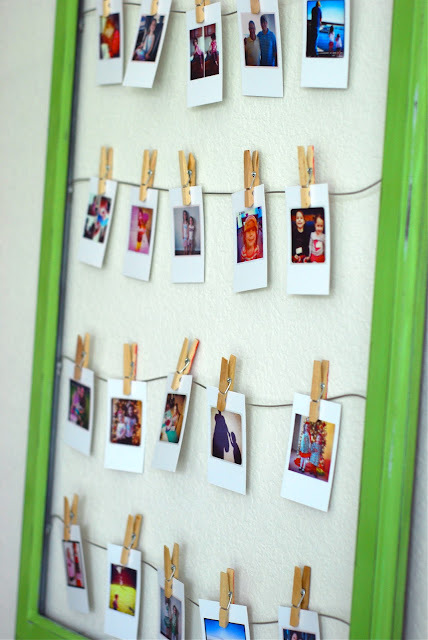 I am loving the "gallery wall" definitely gives that pop of color you are looking for. Beautiful kitchen! I think it looks great! I really do love the handprints, those are just priceless! I love the blue table! It just adds such a pop of color to the room. And just letting you know, I'm stopping by from Kelly's Korner! Looks great. And your gallery wall is unique and I know that canvas took sometime to make! 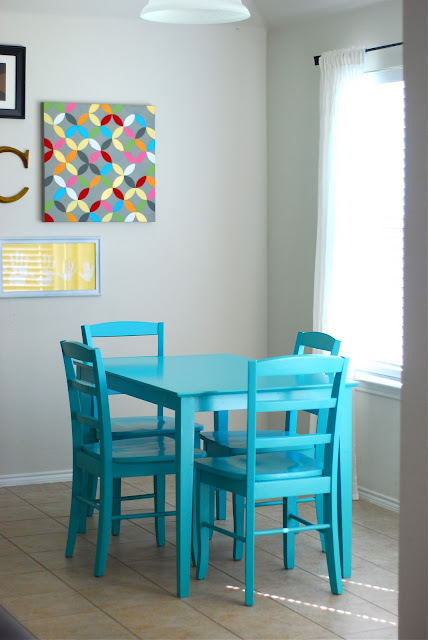 I love the color of your table and the gallery wall!! Adorable!!! Very cool kitchen! Thanks for sharing:)! I love your frame with Instagram pictures! Awesome!